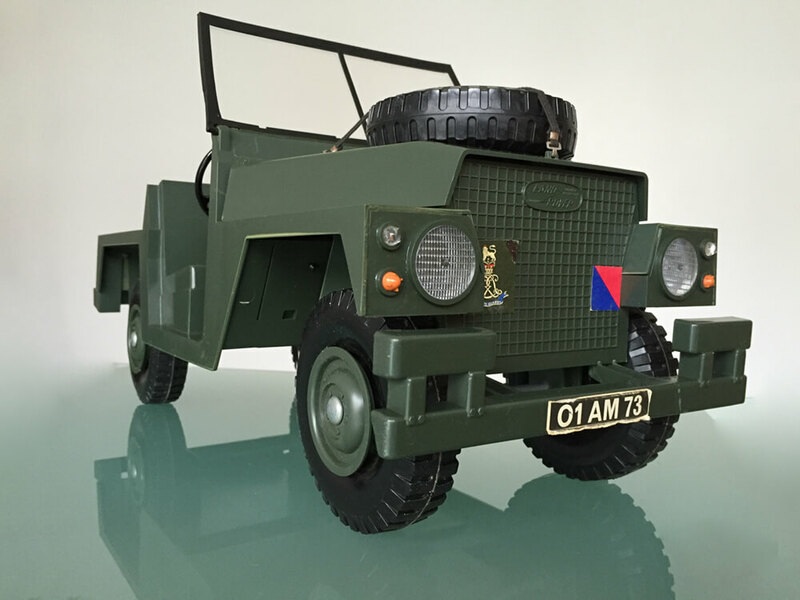 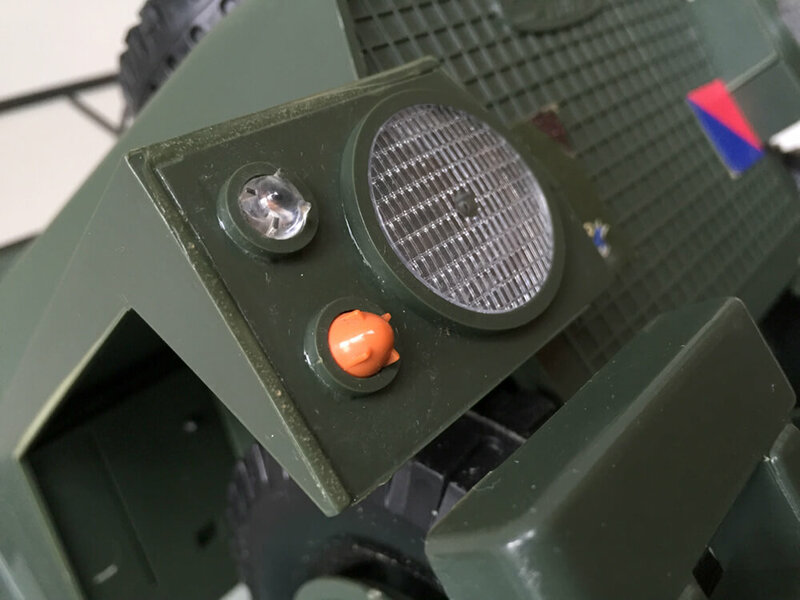 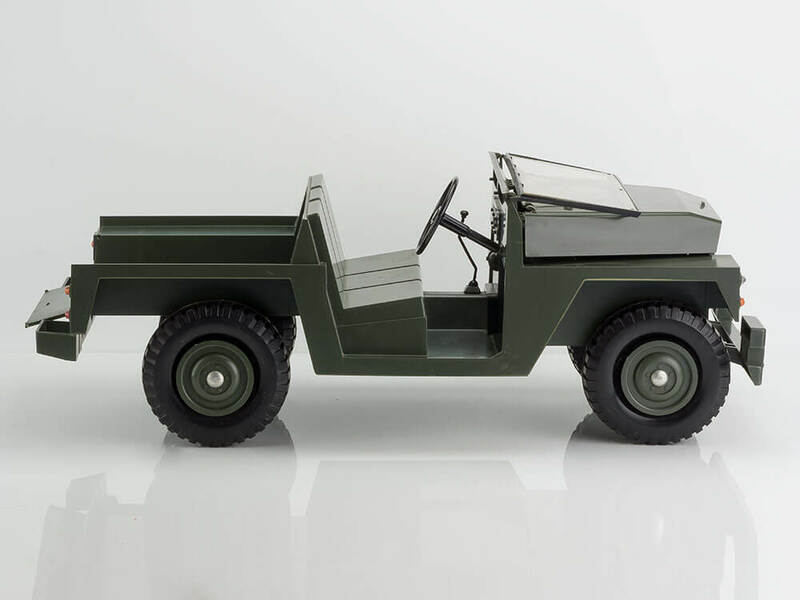 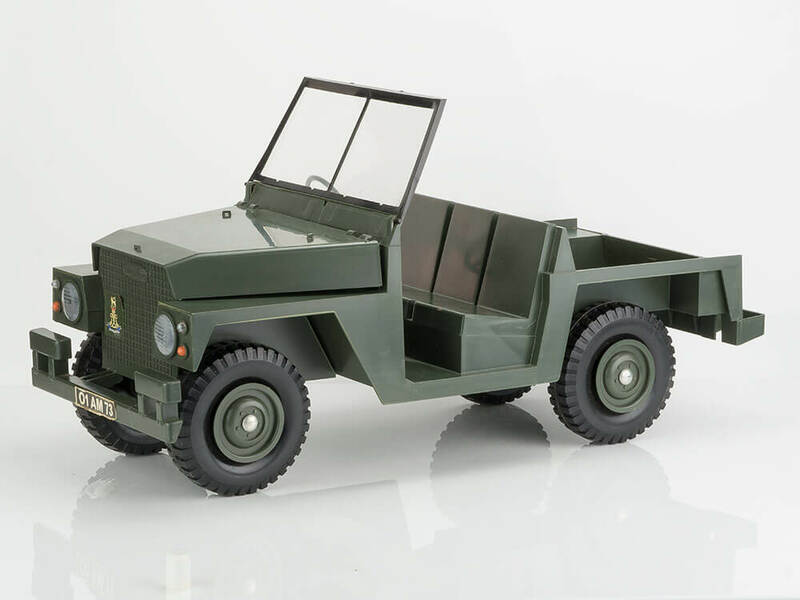 "This scale representation of the British Army Landrover has drop-down tail board, hinged bonnet and windscreen and detachable spare wheel. 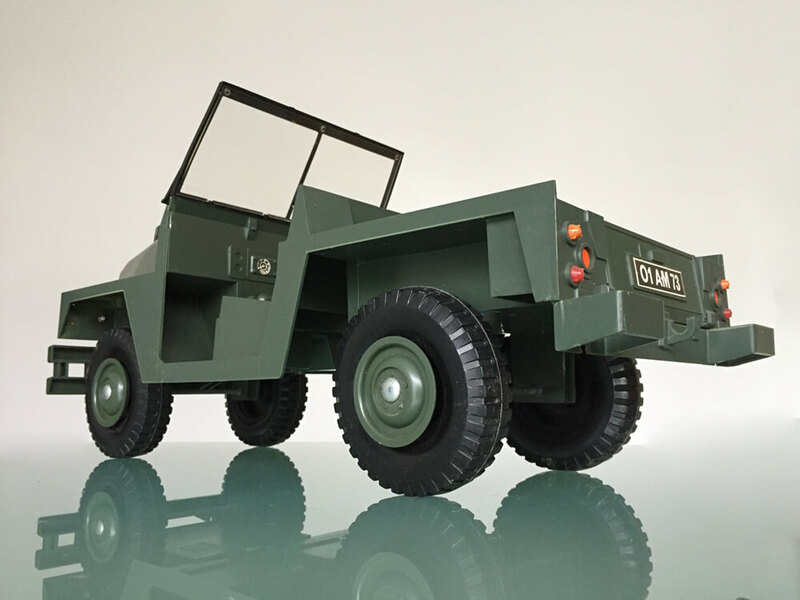 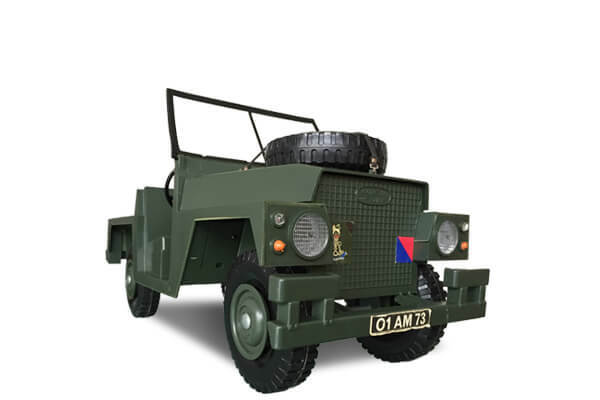 It was designed by Palitoy with the kind assistance of the Rover Company of Solihull in 1972/73. 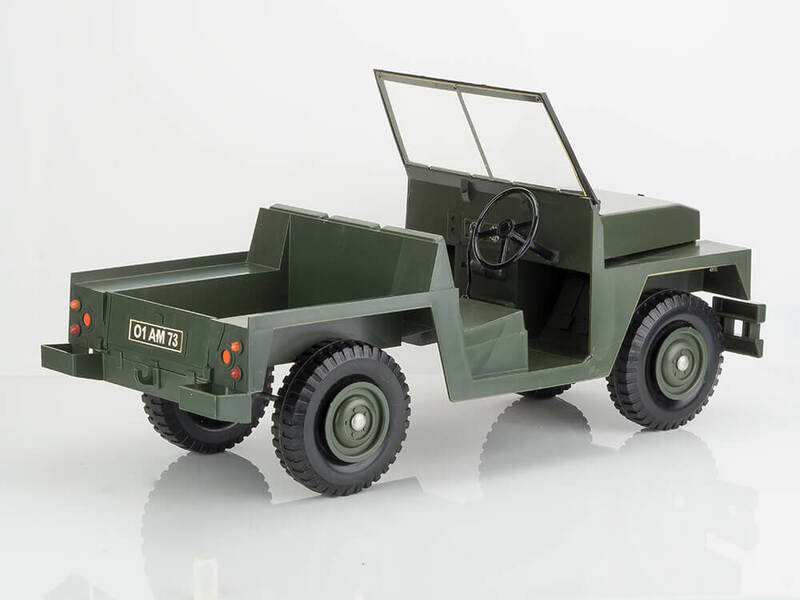 It was	an	ideal	method of transport for the new gripping hands Action Man, at last being able to effectively grip the steering wheel and stay on board downhill! 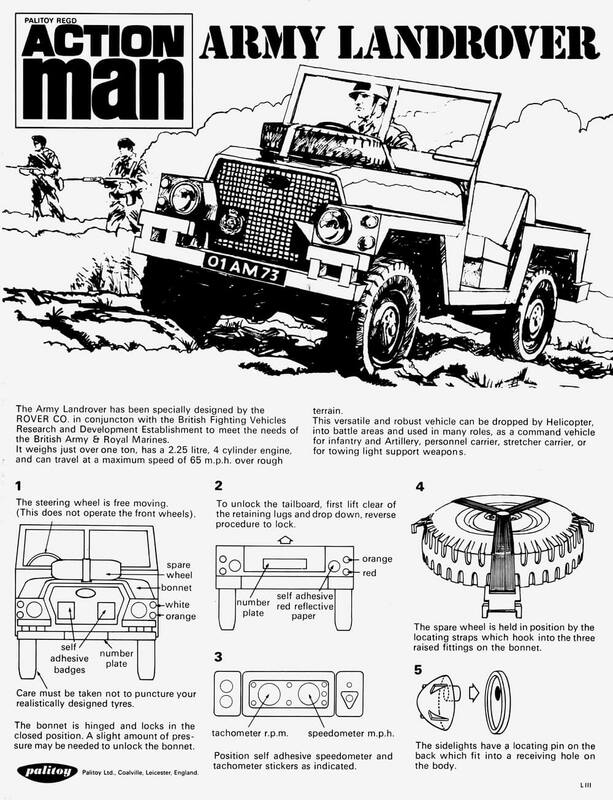 It came with a sheet of stickers to apply and an instruction sheet shows where they are to be applied. 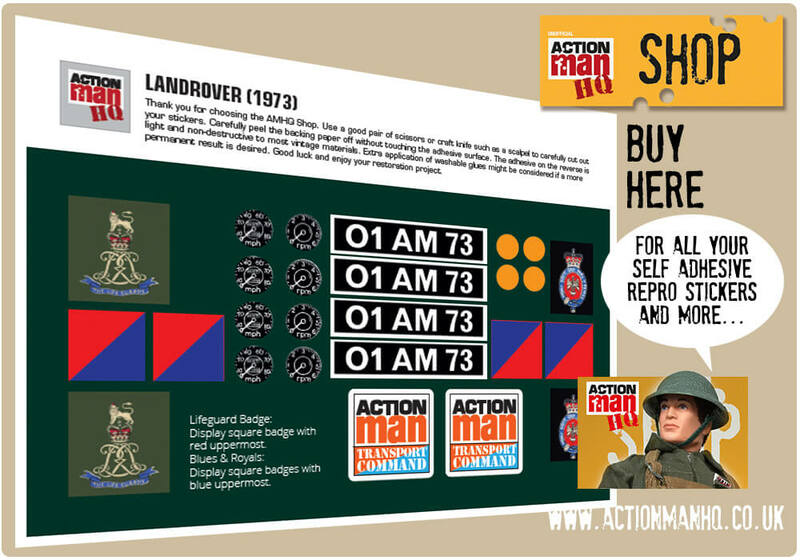 The Action Man Landrover looks fabulous, but was made of very hard plastic. 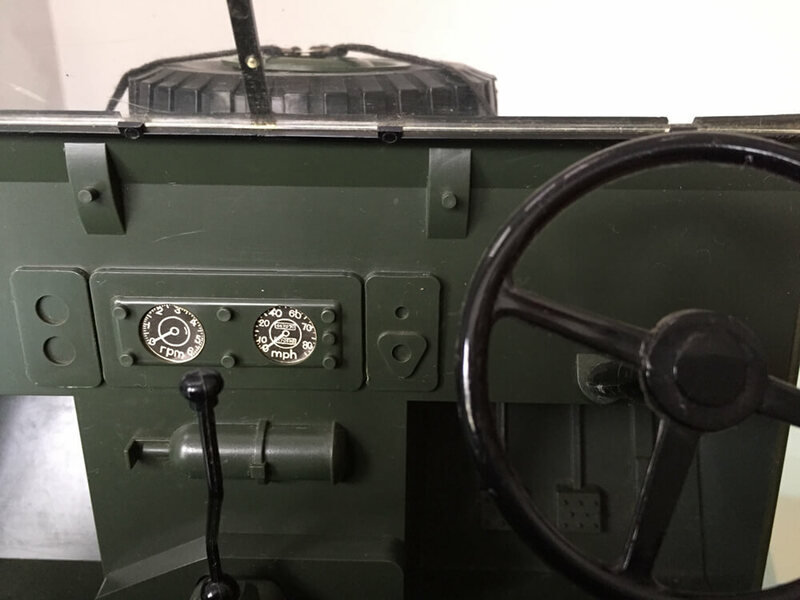 It was quite fragile, and as a result, most bumpers, and tailgate lugs were broken very quickly - even at pulling out of box stage. 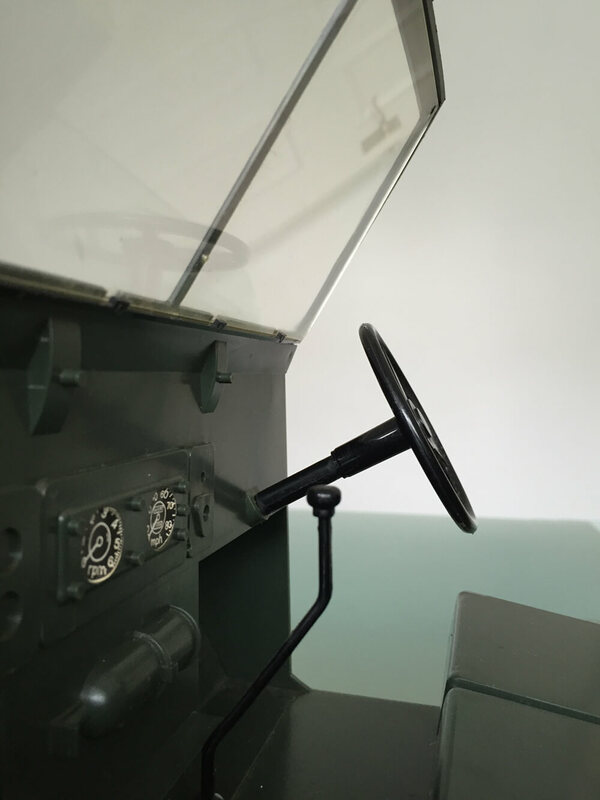 Gearsticks are easily lost too. 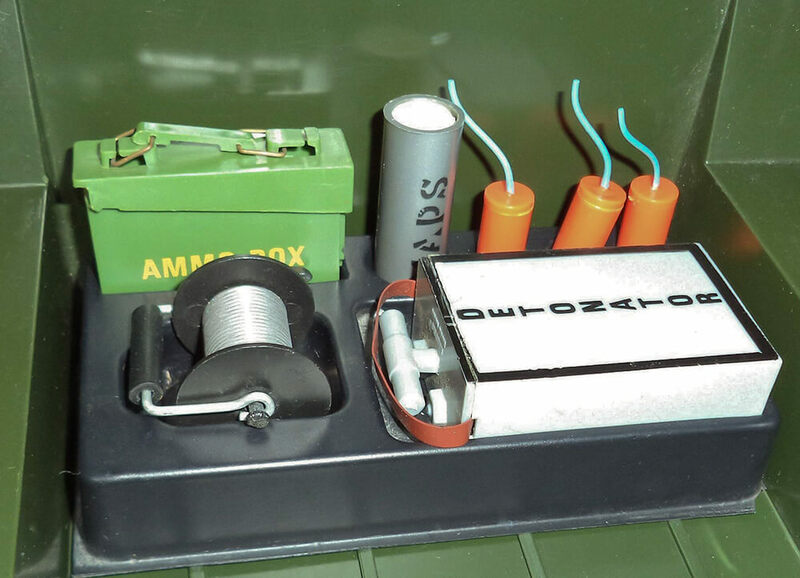 A later version had a black vacuum formed engine insert and a rear tray which carried a detonator, map case, three sticks of TNT ammo box and cable reel were also included. 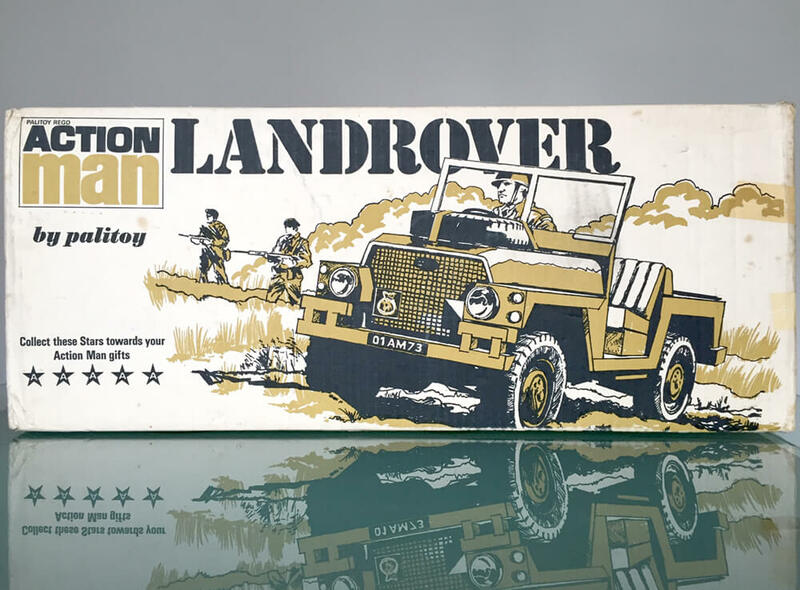 It is not currently known if these trays came with versions earlier than 1976, or indeed if the contents varied (such as jerry can inclusion instead of wire reel). 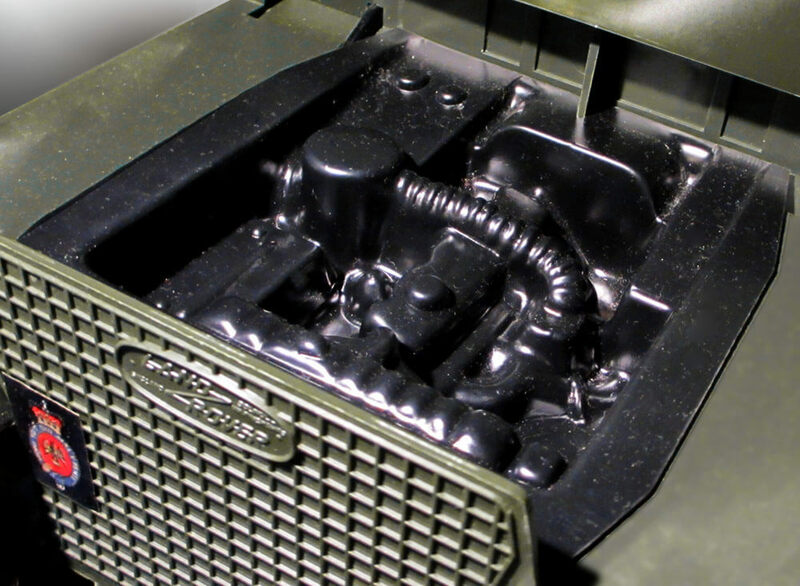 These trays are first seen in the 1976 Equipment Manual. 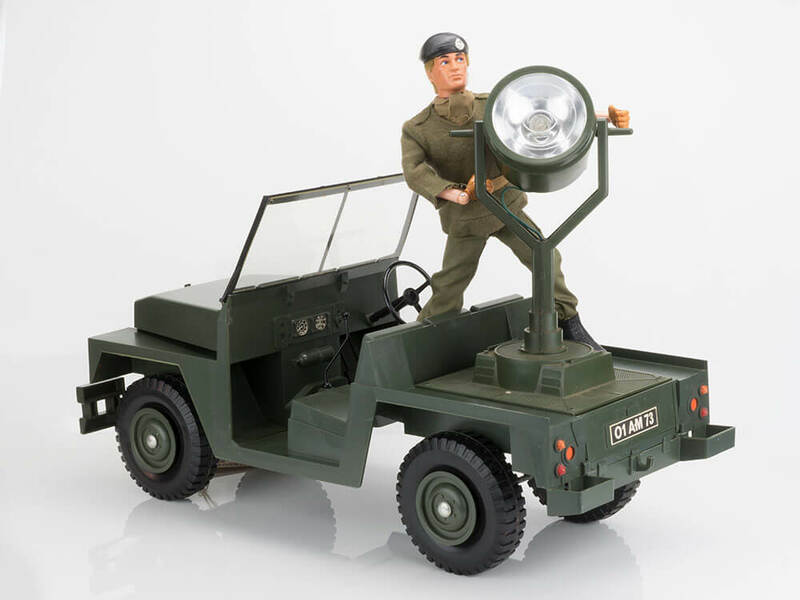 Another item that could be carried in the back of the Landrover was the separately available battery operated Searchlight.